On February 2 Lee Teng-hui, the former leader of the Guomindang and the first democratically elected president of the Republic of China (ROC, Taiwan), gave a speech at the Legislative Yuan concerning the issue of constitutional reform. Lee Teng-hui is my favourite Taiwanese president. He implemented democratic reforms, defended the ROC against Beijing's claims to Taiwan, he managed the economy well and was a politician who exercised a strong leadership but was at the same time tolerant, humane, and capable of understanding and representing Taiwan's mainstream public opinion. In this respect, I consider him a better politician than Chen Shuibian and Ma Ying-jeou (Ma Yingjiu), let alone Chiang Kai-shek and Chiang Ching-kuo (Jiang Jingguo). Three points in his speech seem to me quite interesting, and in this post I will briefly examine them. The first two points concern Taiwan's identity and economic situation. The third point relates to Lee's assertion that Taiwan is currently ruled in a "dictatorial" way. While I concur with the first two of Lee's remarks, I strongly disagree with the third one, as I will explain below. In his speech, Lee made some interesting and, in my opinion, correct remarks about the status of Taiwan's economy and society. "On the surface," he said, "Taiwan’s economic figures look good, but in reality, Taiwanese people are becoming poorer and poorer. The unemployment rate is grave. Salaries are falling backwards. The wealth gap is getting bigger and bigger. Society is becoming more and more unfair. Young people can’t afford to buy homes, are afraid to get married and have children, and don’t even feel sure they can afford to eat three meals a day. Life is unstable, and hope is harder and harder to see. And yet, the current government hasn’t presented a single effective policy to respond to these problems." A look at the national statistics of the ROC confirms the validity of Lee's remarks. For example, in 1999, the last year of Lee's presidency, the average monthly earnings of employees in industry and services were, respectively, 38,404 TWD (around US$ 1,209) and 43,294 TWD (around US$ 1,363). In 2013, average monthly earnings had increased only slightly, respectively to 44,076 TWD and 46,921 TWD. Considering inflation and sky-rocketing house prices, this means that these job categories have experienced a loss of income despite the economy's good growth rate, which averaged around 4.5% between 1999 and 2013. The same thing is true for many other middles class jobs. Lee Teng-hui sees Taiwan's growing dependence on and interconnection with the economy of the People's Republic of China (PRC) as the main reason why Taiwan's middle class is impoverishing. According to him, big conglomerates want to invest in the PRC and lobby the government to promote cross-strate economic integration. But while corporations do benefit from this integration, the majority of the Taiwanese do not. "For more than a decade, Taiwan’s capital, technology, and industry have flowed out to China in large quantities," he said. "The only thing the government has kept its sights on during this period is the interests of business conglomerates. Strategic deployment of natural industries has been lacking. Large enterprises have ceaselessly beaten the drum for opening up cross-strait trade, and as a result a cartel of cross-strait political and business elites has emerged. The greater part of the benefits from cross-strait trade has been monopolized by these few people. Meanwhile, Taiwan’s economic dependence on China has become deeper and deeper, and more and more of Taiwan’s youth have been pressured to go to China to find work." "Who are we?" is a question that for years has been at the centre of Taiwan's public debate and state-building process. The Democratic Progressive Party (DPP) has used nationalism to answer this question. "The duty of Taiwanese people in the 21st century is to first understand who we are. We are a democratic, free, and independent country." Democratic, free, independent: these three words suffice to bind together all people - regardless of religion, descent and beliefs - who call Taiwan their home. "Although Taiwan has enjoyed a democratic system for many years, many of its people still maintain an authoritarian mindset. After seizing governmental power and authority, these people display an attitude of 'to the victor go all the spoils.' They have absolutely no concern for other people’s views and place no importance on the rights and benefits of other regions and groups. These leaders are unwilling to incline their ears to the voice of the people. As a result, today’s Taiwan only acts out the forms of democracy; in reality it is governed dictatorially." "The current ruling party has used the revocation of party membership as a tool to control legislators. As a result, its legislators must follow the commands of the party, which has not considered the citizens’ interests one iota. The people have thus lost sovereignty, and their representative institutions are in a state of disorder ... Citizens’ doubts about policy are commonly played up as resistance to the party, making it impossible to conduct rational debate. Citizens only have the right to vote; they cannot meaningfully participate in policymaking." According to Lee, there are constitutional loopholes that allow the government to act against the 'will of the people'. "There is no way to resolve the dilemmas caused when the will of the government and the will of the people are at odds." Now, my first objection refers to the expression 'will of the people'. What does the 'will of the people' mean? It actually means absolutely nothing. The 'people' is not an individual, it is a number of different individuals with different views and interests. The so-called 'will of the people' is a term used by dictatorships such as the Communist as a rhetorical tool to justify their own point of view. There is no such thing as 'the people'. There are millions of electors, who have various points of view and often disagree with each other or have divergent personal interests. Perhaps, people do not clearly understand the limits of democracy. Democracy is not a utopia that promises 100% agreement among the citizens. It is a system of rules that ensure pluralism, respect of basic human rights and balance of power between the different organs of the state. When people vote, they choose a party that presents a certain political programme. Ruling parties or coalitions, however, usually represent only a minority. At the 2012 US presidential elections, for example, Barack Obama received 51.1% of the votes, while Mitt Romney received 47.2%. Taking into account the poor voters' turnout of 58%, can we say that Obama really represents 'the people'? Obviously not. Over half of the US population either didn't care enough to go to vote or voted against him. But that's not the point. The point is that Obama gained enough consensus to have popular legitimacy. This is what a democratic system is about. What does it therefore mean to 'go against the will of the people'? Again, it means nothing. It is a trick used by certain parties and groups to delegitimise their opponents. It is obvious that every ruling party or coalition must act against 'the will of the people', because there will always be opposition groups and because a party or coalition may loose the support of its own voters if it doesn't meet their expectations. But we cannot go to vote every time a poll says the government is unpopular. That would not mean democracy, but anarchy. A ruling party does not necessarily have to listen to what opposition groups say, as long as it does not violate the constitution and basic human rights. For instance, if a government wants to cut welfare benefits, many people might be against it. But it would be absurd if every government did nothing because opposition groups (in or outside the parliament) do not agree with the government's policies. In order to govern, a party or coalition must have enough power to carry through its political programme. At the next elections, the voters have the possibility to withdraw the mandate and give it to a different party. In the United Kingdom, the power and nature of the Prime Minister and his Cabinet are revealed by the origin of their function. As Stephen Buckley explains, "The main powers that the Prime Minister has at his or her disposal are known as prerogative powers and are derived from those functions that, before 1688, were performed by the monarchy" (Stephen Buckley: The Prime Minister and Cabinet , 2006, p. 11). While the monarchy was the hereditary rule of an individual aided by counsels, the British democracy is, in its inception, the delegation of monarchical powers to the Prime Minister and the Cabinet via elections. This makes sure that an elected government is powerful enough to govern. On the other hand, a government must win the support of a large number of voters and its powers are checked by parliament and public opinion. This is not an ideal, plebiscitarian type of government. But it is a careful one, whose aim is to protect some basic individual rights and to avoid excessive concentration of power in the hands of a sovereign or any other individual. The power of the Prime Minister is counterbalanced by parliament and by his or her standing in the party. "The House of Commons has the power to act as a check on the powers of the Prime Minister. As head of government the Prime Minister requires the continued support of the House of Commons. Without this support, expressed mainly by the continued goodwill of the party that he or she leads, it is increasingly difficult for the Prime Minister to remain in power" (ibid., p.15). However, the actual power of the Prime Minister highly depends on his or her character and charisma. Some Prime Ministers are weaker, others are stronger. Buckley again explains this point clearly: "It has been argued that recent prime ministers have shown a healthy disdain for Parliament, especially the routine business of the House of Commons. Margaret Thatcher's style in the Commons was ‘robust’ and ‘uncompromising’ while Blair's reforms to question time have caused some critics to ask how seriously he takes his responsibilities in relation to the Commons" (ibid., pp.15-16). Returning to Taiwan, it is obvious that the Guomindang under Ma Yingjiu had a clear programme based on improving cross-strait relations. There have also been cases of corruption and abuse of power, such as the feud between Ma and the Speaker of the Legislative Yuan Wang Jinping. I do agree that Taiwan might need constitutional reforms, as Lee Teng-hui argues. I also agree that corruption cannot be tolerated. 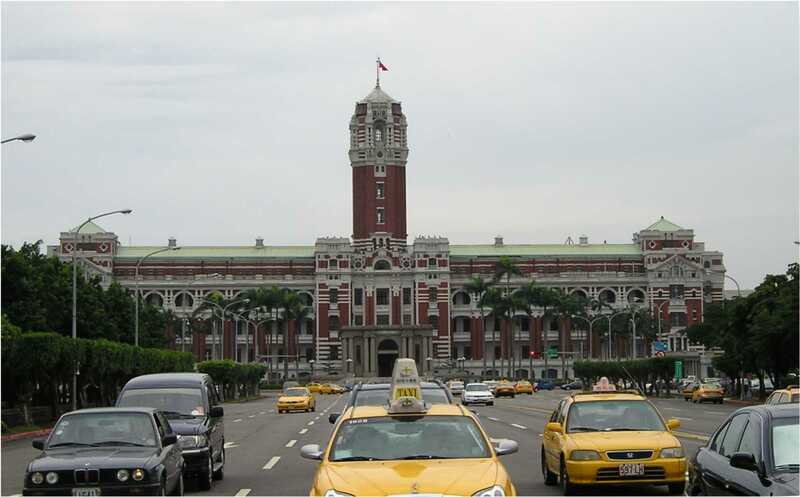 But calling Taiwan's government dictatorial is a mistake that distorts the reality. If a government is strong and single-minded, and even if it is corrupt, we cannot say the country is run dictatorially. A dictatorship is a system in which one party or individual monopolises state powers (executive, legislative and judicial), controls the media, the bureaucracy and the army. How can anyone say that this is the case in Taiwan? Taiwan has a vibrant opposition. The state of press freedom needs improvement, but it's only slightly below countries such as the United States (in the 2014 press freedom index, Taiwan was ranked 50th, the US 46th, Italy 49th, Japan 59th, while China was 175th). The rule of law and basic human rights are respected. Ma Yingjiu's Guomindang has become very unpopular because of its policies. The result of this was last year's Sunflower Movement, which Lee Teng-hui praised. I criticised this movement, because it contradicts the very principles it supposedly fights for. A government that receives a popular mandate can use its power within the scope of the law. Tony Blair's decision to go to war in Iraq, for instance, was unpopular. Many decisions politicians make may be unpopular. But if groups of people occupy the parliament because they disagree with politicians, they are destroying democracy. I strongly opposed George W. Bush's and Tony Blair's warmongering. Still, I wouldn't have supported the occupation of the White House or of the House of Commons. Another example is the way in which US presidents Nixon and Carter negotiated the establishment of diplomatic ties with the PRC; this was done in secrecy, because the presidents feared strong opposition from Congress and public opinion. However unethical this may sound, it is still not dictatorial. The last local elections proved the point. The Guomindang suffered a major defeat, and Ma Yingjiu had to take responsibility. Probably the DPP will win the next presidential elections. This is how democracy is supposed to work. Since I personally disagree with Ma Yingjiu's rapprochement with the PRC (which is tantamount to the suicide of the ROC and of the Guomindang itself) and with his neoliberal understanding of economic policy, I do welcome the evident shift of public opinion against his policies. The fact that the Guomindang lost the elections is a proof that Taiwan is not run dictatorially. However, it is true that Ma Yingjiu has a strong leadership style, described by some even as autocratic. But this is a party issue. We must not make the mistake of equating the structure of political parties with the democratic structure of the state. Democracy means pluralism. As long as there are many parties and many voices, there is democracy. But a party itself can function in a myriad of ways. It can be organised like the DPP, which has a relatively loose and democratic structure. Or it can emphasise party discipline and personal leadership, like the Guomindang (as explained in Shelley Rigger's From Opposition to Power: Taiwan's Democratic Progressive Party ). This is a matter regarding the party members themselves as well as the ability and skills of the leader to control the party. It is not, however, an illegal practice. Moreover, Ma's political failure has weakened him. At the end of the day, in a democracy the leader is the first to be blamed if the party doesn't win the elections. This once again shows that the basics of Taiwan's democracy are working. It is fair to discuss the issue of constitutional reform, and in many ways I think the proposals made by Lee Teng-hui are worth discussing. However, we should be careful not to condemn the ruling party as dictatorial every time the state needs adjustments or the government is unpopular. Dictatorship is a word that we should take very seriously. However, it is used too often by people who criticise governments and parties. This does not happen only in Taiwan. In a recent survey conducted in Germany, 60% of the respondents said they believe that Germany is not truly democratic. 27% even said the country might be heading towards dictatorship. It is an extremely worrying phenomenon. It is exactly those countries which have achieved democracy that believe to be ruled dictatorially.